Windfarms are popping up all along the migratory flight path of the Bewick’s swan, as this aerial taken by our human swan during her epic Flight of the Swans expedition shows. 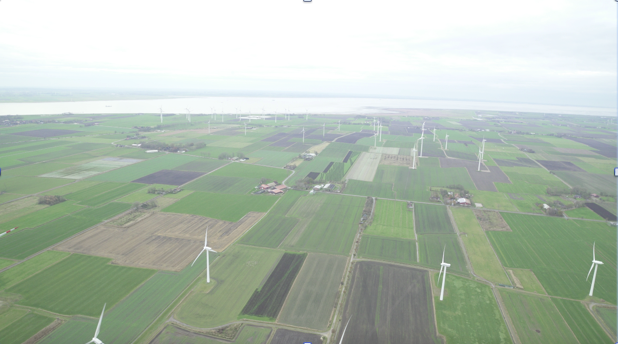 From offshore farms in the North Sea, to onshore sites in Denmark, the Netherlands, Germany and the Baltic countries, they’re becoming a familiar sight on the twenty first century landscape, with yet more in the pipeline. In fact as our human swan, Sacha Dench discovered, there were some parts of her journey where there were few areas to launch that weren’t down wind of a wind farm. But what impact are the wind farms having on Bewick’s? With the swans' population having undergone a dramatic decline in recent decades it’s essential to investigate the potential causes. And not just for the swans, but for the thousands of other waterbirds that use the same route for their annual migration. But to get a clearer idea of what effect, if any, these wind farms might be having on the swans we needed to know more about the birds’ exact movements as they cross the North Sea and fly over north Europe. This technology has given us an extraordinary insight. 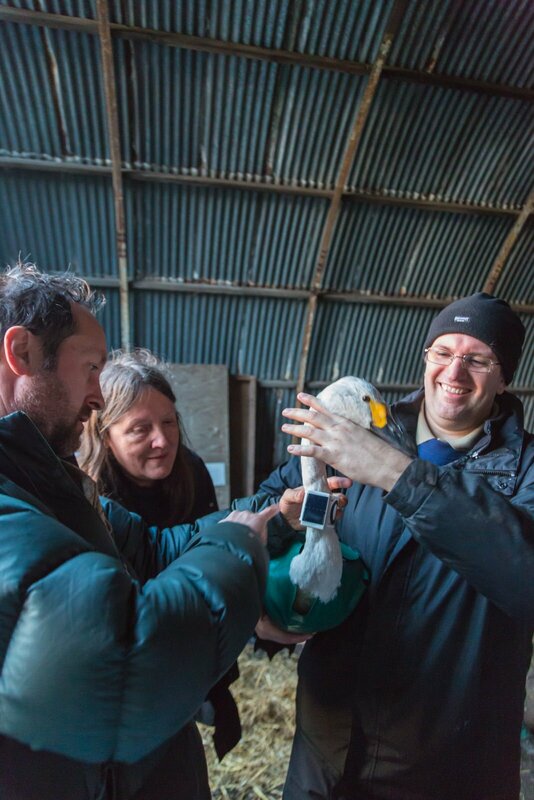 During their migration we receive hourly GPS fixes for the birds, and in some cases every 15 to 30 minutes. When this data is combined with the location of both onshore and offshore wind farms we have been able to see exactly how close the birds fly to proposed and constructed wind farm sites - marked in green on the image below - and how frequently they encounter them throughout their journey. In the UK, we discovered that one particular wind farm area, off the East Anglian coast, was crossed by every one of our tagged swans during their migrations. 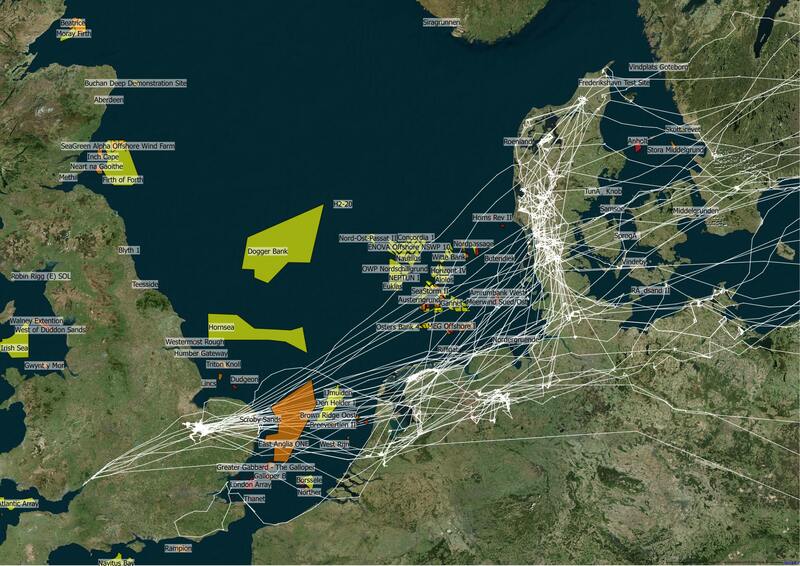 During their crossings of the North Sea, our tagged swans between them flew over a total of 52 offshore wind farms. 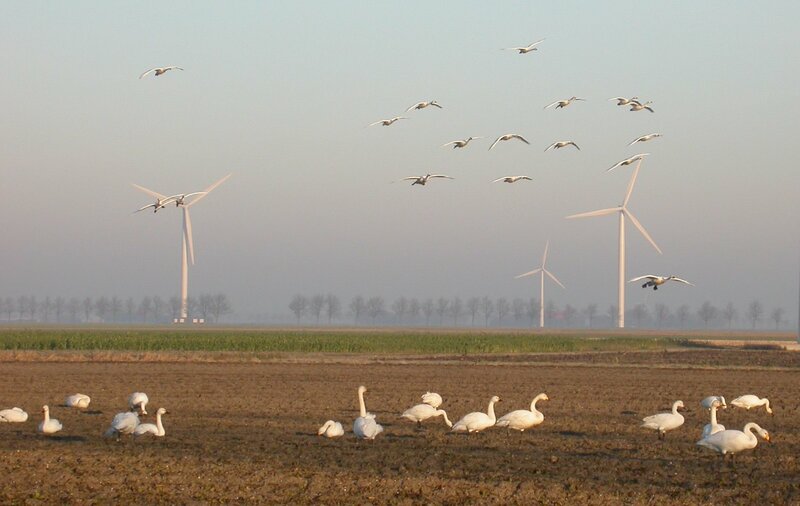 On the continent, one of our tagged swans crossed or came close to four different onshore wind farms in just one hour, as it flew across northern Denmark during its annual spring migration in 2015. 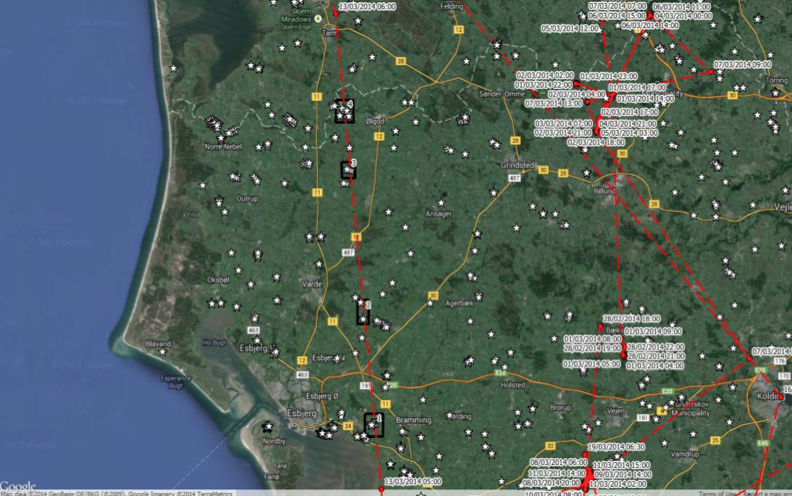 Map of part of Denmark, showing location of wind farms, marked by white dots. The GPS tags also allow us to collect information on the flight height of the swans. And we discovered that Bewick’s usually fly at or below the sweep of the wind farm rotors. 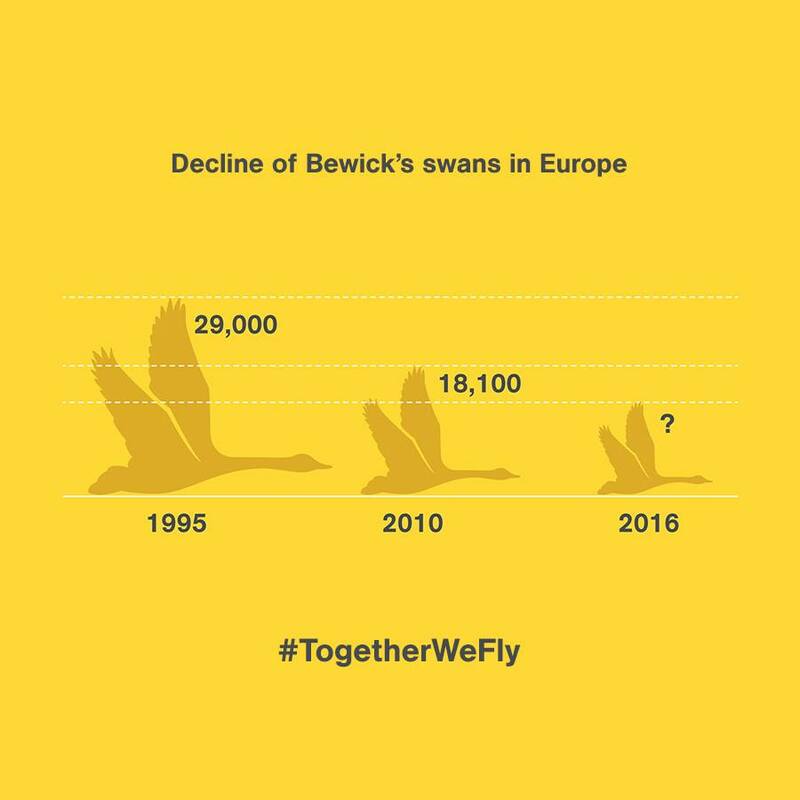 Despite all these figures, our research suggests that collisions with wind turbines is not a major cause of the swans’ decline. But what if avoidance of the turbines is influencing their ability to make best use of safe roosting and feeding sites? The potential cumulative effect that the siting of both onshore and offshore wind farms is having not just on swans but on other migratory birds, in terms of collision risk and displacement, therefore continues to need assessment. 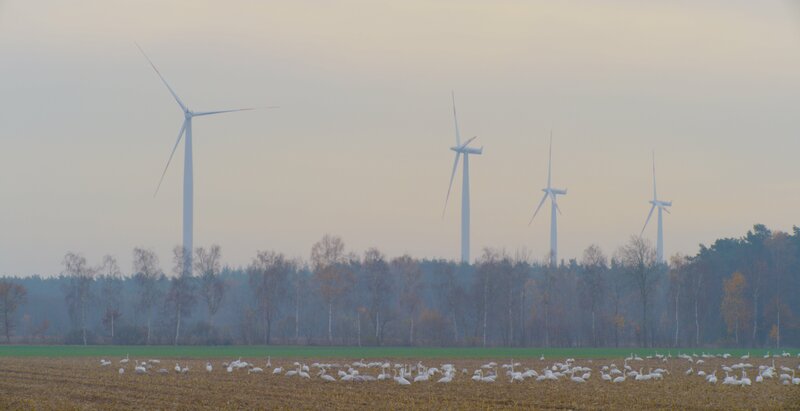 Additionally, it has been suggested that collisions with power lines – which are the most common reported cause of death in swans – is higher where the lines are close to turbines. This requires more detailed study, to determine whether on attempting to avoid the more obvious turbines, the swans then hit the less obvious wires. Studies of the implications of wind farm development across Europe for Bewick’s and other migratory birds have been underway since the early 2000s, but there are so many more questions that need answering. Would the creation of east-west corridors a couple of hundred metres wide through wind farms, be useful to migrating swans? To what extent are swans avoiding wind farms, particularly when they are close to key wintering and staging sites? How can we improve assessment of potential cumulative effects for swans and other migratory waterbirds? And it’s this gathering and sharing of information that is proving so vital for conserving Bewick’s across their range. Please donate here to support WWT’s work and help save these iconic birds. **These discussions were part of a scientific meeting of Bewick’s swan researchers held at Lake Lauwersmeer organised by WWT’s Dutch Project Partners Jaap Kloosterhuis and Wim Tijsen, hosted by the Forestry Commission.